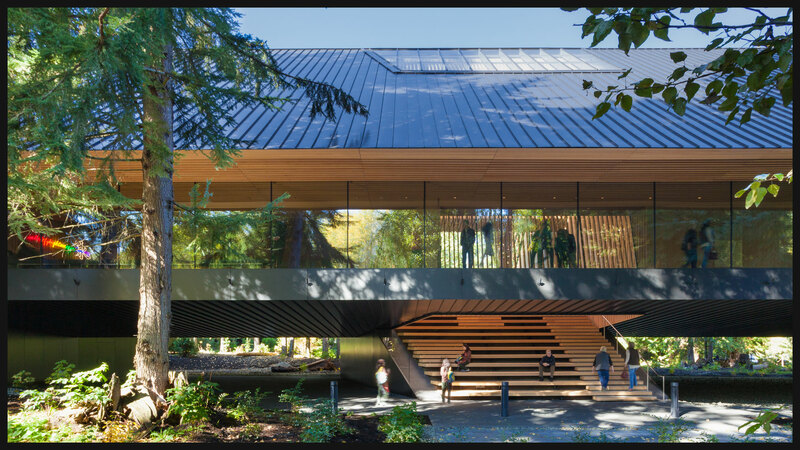 The Audain Art Museum in Whistler, BC is an orchestration of three primary determinants. 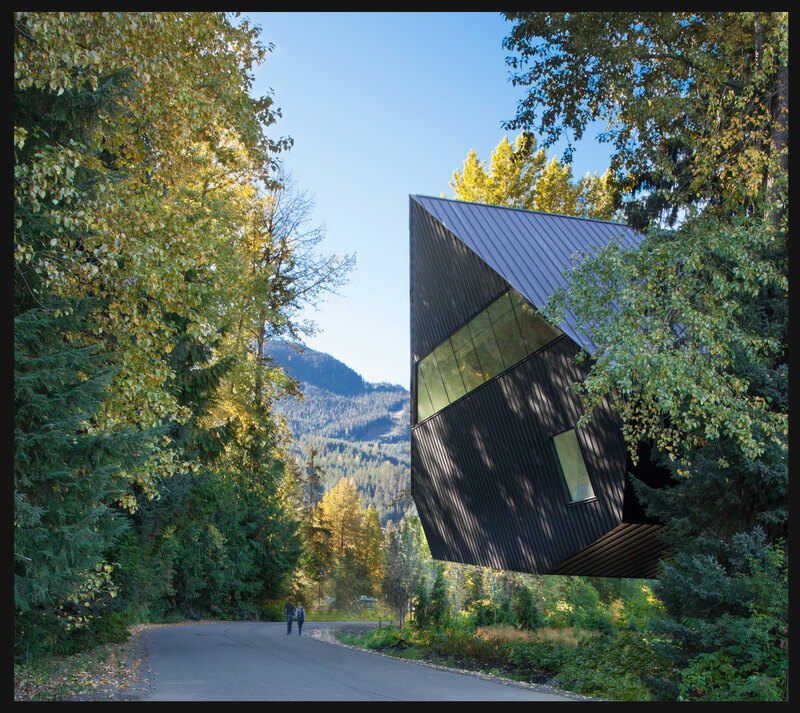 First, to house Michael Audain’s art collection and exhibit travelling artworks from around the world. Second, a beautiful but challenging site endowed with a magnificent coniferous canopy but located within the floodplain of Fitzsimmons Creek and in need of environmental reclamation. Third, enormous annual snowfalls, averaging nearly 4.5 metres. The building is a simple angular volume. It is lifted a full storey off of the floodplain and is threaded through existing trees. Exteriors and interiors are deliberately restrained to foreground the landscape and the art within. "This is a structure that is, among other things, a total response to site conditions. 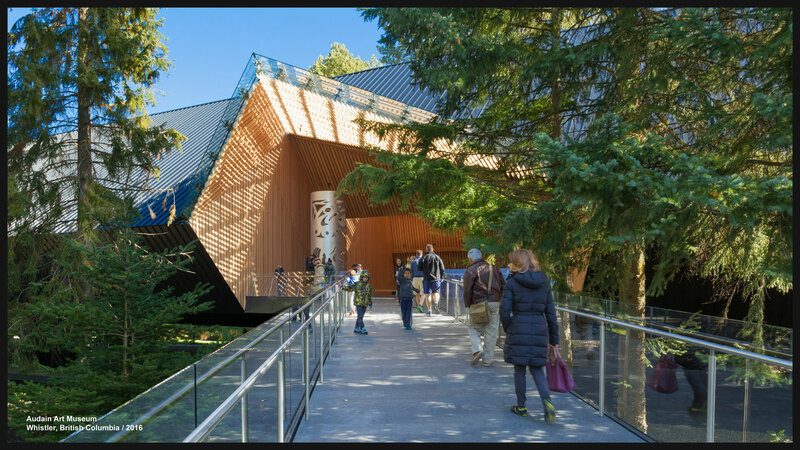 The architects have taken exceptional care to position the building in deference to the exiting trees and over the seasonal flood plane, keeping the building’s footprint at a minimum. Inside, they have displayed a masterful control of artificial and natural light. 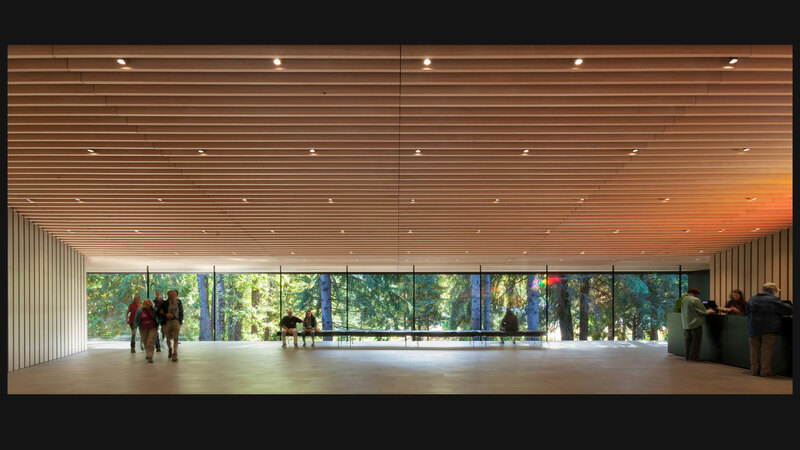 Their mode of fragmenting the natural daylight at the covered entrance evokes the dappled light of the forest, and glazing along the circulation spaces brings in the actual forest light. The entrance bridge from the roadway and the stairway from the ground each invite visitors into the museum in almost story-like fashion. 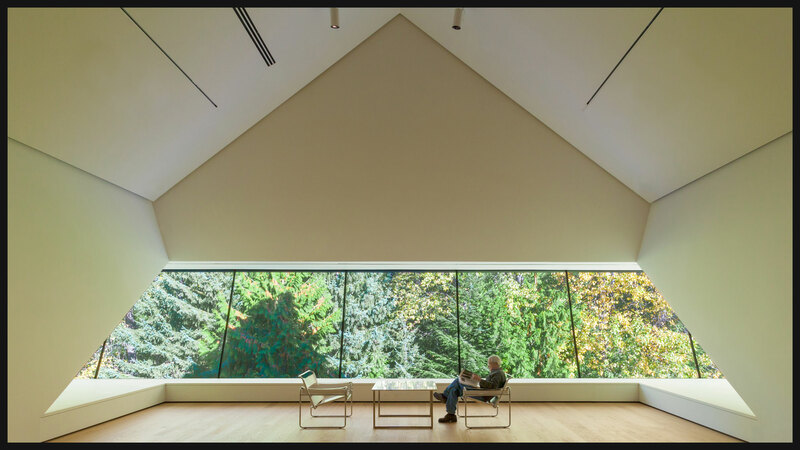 This building is both complex and serene, a masterpiece on every level." Photo: James Dow / Patkau Architects Inc.